We welcome you to visit campus at any time and see how we make teaching and learning extraordinary. To schedule a personal tour, please contact Stephen Bennhoff, Assistant Head of School for Admissions and External Relations, at 203-322-5886 x104 or admissions@villamariaedu.org. 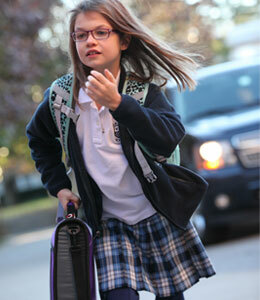 We encourage parents interested in learning more about Villa Maria to attend an Open House. To schedule a campus visit or register for an Open House, please fill out the form below. Campus Tours are available by appointment. Please contact Stephen Bennhoff to arrange a visit at 203-322-5886, ext. 104 or use our contact form.